If you've ever wanted to teach your children how to fish — or wanted to learn yourself — the next few months will offer plenty of opportunities around Oregon. Beginning March 19, the Oregon Department of Fish and Wildlife is hosting a series of "how to fish" events geared at teaching youngsters and their families the best methods for landing lunkers in the Beaver State. The events are held in 36 different locations during the spring and summer from the high desert to the Willamette Valley. They take place at lakes and streams that have been recently stocked — making chances of success high. The agency also provides loaner rods, reels, tackle, bait and helpful tips from fishing instructors on site. The first event for 2016 takes place March 19 at Devils Lake near Lincoln City. If you miss that one, fear not. There will be events near the Willamette Valley on almost a weekly basis throughout the spring and summer (see below for times and dates of all locations). At the events, ages 11 and younger can fish for free, while those 12 to 17 and adults will need an Oregon fishing license. The new Youth License is only $10 for 12 to 17 year olds. Licenses can be purchased at ODFW’s online license sales page, from any ODFW field office or a retail license outlet. Licenses will not be sold at the events. 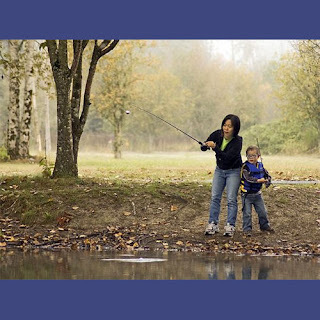 Additional opportunities on learning how to fish will take place June 4 and 5 during “Free Fishing Weekend.” That weekend, ODFW will waive all fishing license fees for anglers of all ages. Oct. 22: Mt. Hood Pond, Troutdale, 9:30 a.m. to 2 p.m.